Finely cut the onion and fry until it’s golden. Cut the peeled champignons to slices, add some salt and roast them on the onion. Put on the bottom of a baking dish. Cook the sweet potatoes, mix them with almond flour, eggs, garlic and umeboshi vinegar. 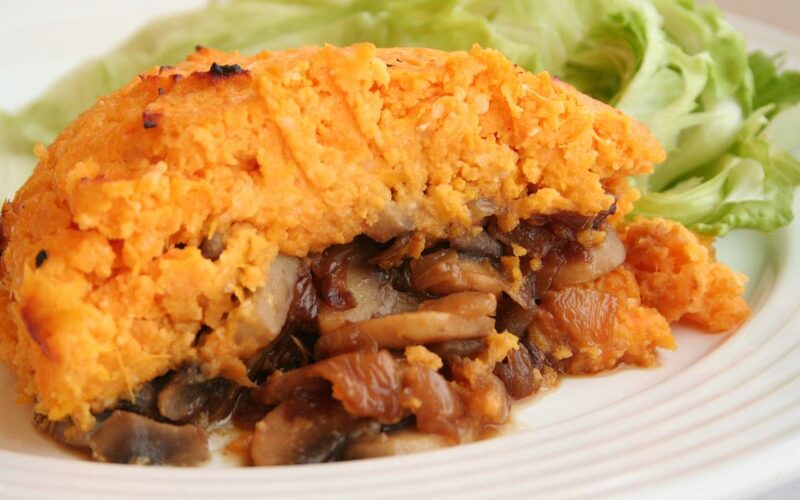 Put the mash onto a layer of champignons and bake in an oven. Serve with a vegetable salad.